Planning your upcoming KwaZulu Natal golf holiday with Golf 2 Africa saves you time, money and unnecessary hassle. We’ve negotiated highly discounted rates and green fees with the region’s leading suppliers that we’ll gladly offer you in a KwaZulu Natal golf holiday package that will perfectly suit your needs and preferences. Welcome to the Zulu Kingdom, famous for it’s rich history dating back to the ancient Bushmen people and King Shaka Zulu. The beauty and history of this diverse region will take your breath away. 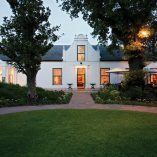 Under the sunny African sky, the azure-blue Indian Ocean, Mangrove swamps and limpid lagoons, give way to rolling green hills and indigenous sub-tropical forests shimmering in the distance before they reach the majestic Drakensberg mountains, Africa’s biggest mountain range. 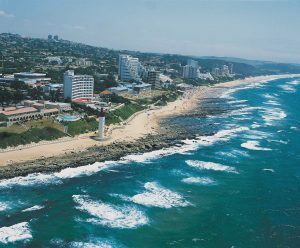 KwaZulu Natal boasts South Africa’s best climate, sandy beaches and tourist facilities. Even during “winter” one can relax on the beach or go for a stroll through the picturesque trails leading through some of Africa’s oldest forests. 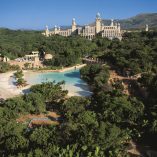 KwaZulu Natal is also famous throughout the world for it’s vast nature reserves and wildlife attractions. 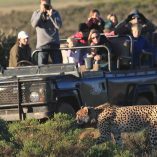 Home to many endangered species, such a s the Black Rhino, the region offers visitors a uniqe African wildlife experience in all it’s Big 5 (rhino, elephant, lion, leopard and buffalo) Reserves. The region’s nature treasures don’t end on the land. The KwaZulu Natal coastline is a veritable sanctuary for rare marine life and coral reefs. Home to the Zambezi Shark (Tiger Shark) and many whale species, dolphins and tropical fish, scuba diving in this region is a pleasure matched by very few areas in the world. And to top it all off, KwaZulu Natal offers the golfer an endless choice of championship golf course to choose from. 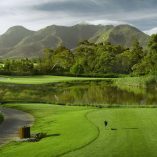 Also known as the Golf Coast, one can enjoy some of the country’s best conditioned coastal courses as well as inland masterpieces set in the Drakensberg Mountains. 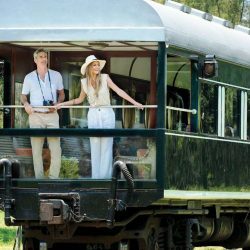 Ultra modern cities, excellent infrastructure, breathtaking scenery and a climate second to none explain why KwaZulu Natal is one of the most sought after destinations for South African and international tourists and property investors. Natal South Coast Accommodation is popular with both local and international visitors. Expansive golden Beaches and unique variant of sub-tropical bush is just what is needed when looking for a destination to explore and relax in. This area is popularly known as the Natal Golf Coast, with 11 top rated courses placed over a 120km stretch of inviting beaches and rolling hills. Truely a golfer’s paradise. Year round sunshine and a mild winter make the Natal South Coast popular for hiking, bird watching, surfing, angling as well as whale watching. Due to frequent sightings of Bottlenose Dolphins who play in the waves of the warm Indian Ocean, KwaZulu Natal’s north coast has become known as the Dolphin Coast. 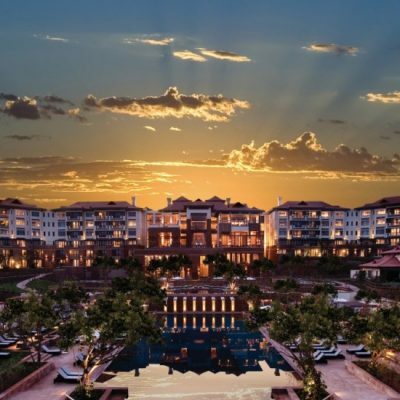 It is a lush strip of coastline that stretches from the Tongaat River at Zimbali to Zinkwazi Beach and the Tugela River mouth in the north, including the inland areas of Umhlali and Shakaskraal. In short – the perfect destination for a KwaZulu Natal golf holiday! Set alongside vast fields of sugarcane and endless sandy beaches, The Dolphin Coast is a beautiful region famous for its warm waters, incredible waves and glorious golf courses in pristine condition all year round thanks to the region’s sub-tropical climate. Tourists’ favourites are the coastal holiday towns of Ballito, Umdloti and Salt Rock that bask in stress-free sunny days with perfect swimming and surfing conditions. When going on a KwaZulu Natal golf holiday, the Golf Coast is where you’ll spend most of your time on the course. The South Coast is also strewn with numerous nature reserves, hiking trails, snorkelling and diving locations, and some excellent golf courses, including famous names such as Wild Coast and Selborne. The Hibiscus Coast also forms part of this region, which is famous for the host of Hibiscus trees along the coast. The South Coast is strewn with river inlets that cut inland from the coast, and provide wonderful birdlife as well as opportunities to paddle upstream along estuaries and lagoons. The region is most famous for the warm Indian Ocean waters and of golden beaches, lagoons, rocky coves, all year sunshine and stunning forests that expand inland from the sandy dunes. An awe-inspiring and truly magnificent range of mountains, the majority of which lie in KwaZulu Natal and stretch well over 200 kilometres forming a natural border between Lesotho and KwaZulu Natal, are known simply as Drakensberg, literally meaning the Dragon Mountain in Afrikaans. 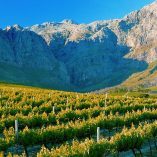 The name is very fitting considering that the average height is 2 900m, with peaks rising as high as 3 482m – being the highest in South Africa. Other than its sheer majesty, the Drakensberg is very popular due to its accessible plateau and the numerous passes and rocky slopes that make for some of the best hiking spots in the country. 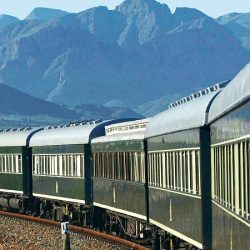 The famous mountain peaks of Mont-Aux-Sources, Cathedral Peak and Giants Castle are graced with a number of lower peaks known as the foothills of the Drakensberg. The Drakensberg Region is dotted with snowcaps where a ski station has been established, mountain streams that flow into clear waterfalls, rock pools and mysterious caves. The Ukhahlamba-Drakansberg Park lies within the Drakensberg’s environ. The park is a 243 000 hectare mountain region filled with crisp mountain air and has been declared a world heritage site. In addition to the most awe-inspiring landscapes, the park also boasts over 600 examples of ancient Bushman rock art found in caves around the park. Pack your bags and come enjoy a golf holiday in KwaZulu Natal. Below you’ll find a selection of KwaZulu Natal golf holiday packages for your perusal.